Children’s book author and illustrator Hudson Talbott has teamed up with the Thomas Cole National Historic Site to present Thomas Cole’s story online for free to children of all ages. 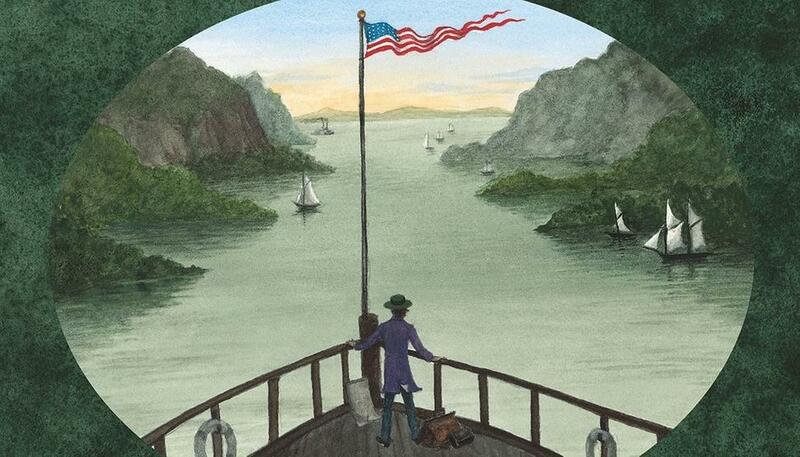 The story introduces the 19th-century artist and founder of America’s first major art movement to a new generation of young readers in conjunction with the Bicentennial of Cole’s arrival in America in 1818. Thomas Cole was an economic migrant displaced by the Industrial Revolution in England who fell in love with the American wilderness and advocated for the preservation of this nation’s landscapes. Thomas Cole’s story online is a 14-page excerpt from the forthcoming publication Picturing America: Thomas Cole And The Birth of American Art with select content exclusive to the online publication. Picturing America will be published by Penguin Random House in the Fall of 2018. The online excerpt, which children and their families can flip through and enjoy together, was created to show kids that historic characters like Thomas Cole were real people with great stories to tell. The full 32-page book can be ordered in advance and a portion of sales will go towards the historic site. Reserve your copy today to receive a signed copy from the author and 15% off. Orders after May 1 will receive 10% off, and all books will be sent out starting in September, 2018. To celebrate the 200th anniversary of Cole’s arrival from England in 1818, the Thomas Cole Site is partnering with the Yale Center for British Art to present the special exhibition Picturesque and Sublime: Thomas Cole’s Trans-Atlantic Inheritance in Thomas Cole’s New Studio, in Catskill, NY. This exhibition, from May 1 to Nov. 4, 2018, is designed to complement the major Cole exhibition at The Met, Thomas Cole’s Journey: Atlantic Crossings, on view now through May 13. After the presentation at The Met, the exhibition will be shown at The National Gallery, London (June 11–October 7, 2018).